Realme A1 Launch: After Realme U1 smartphone, the company is now rolling out the Realm A1 smartphone. The price of this smartphone will be less than the realtime u1. The company will launch it in the new year. OPPO All-Brand Reality has been preparing for the new castle in 2019. The company will start the year 2019 with the launch of a new budget smartphone. 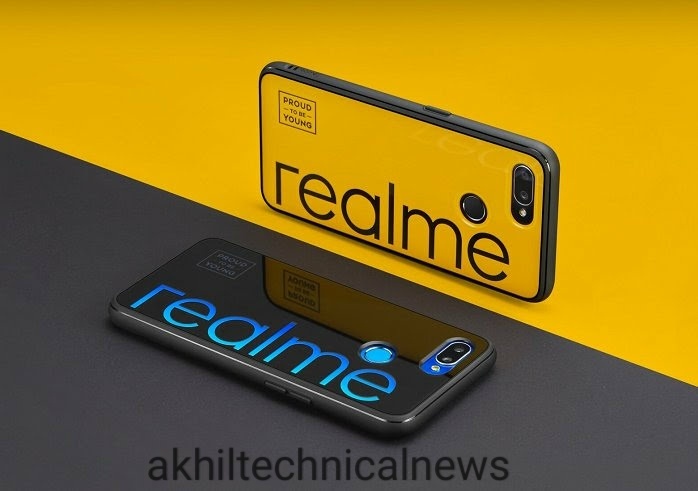 The name of the new product of Reality is being named Realme A1. Talking about the media reports, this smartphone will be launched in the latest low price realty U1. These smartphones will be launched in Black and Yellow colours. Realme has launched the Realme C1 smartphone in the cheap smartphone segment. The price of this smartphone is 7,999 rupees. Quoting a person involved in the case, the blog DroidShout said in its report that the price of Realme A1 will be lower than the Realme U1 smartphone. The new smartphone will come in Black and Yellow colours. Apart from this, there is no information about the price and feature of the smartphone. However, after the launch of this smartphone, users will have a cheaper option, which will come in the budget of Rs. 10,000. It is worth mentioning that the company had launched Realme C1 to give competition to Xiaomi Redmi 6A and Asus Genfone Light L1. If you look at the company's existing smartphone in India then you will find Reality, Realme C1 and Realme 2 smartphones come in a budget of Rs 10,000. While the Realme U1 and Realme 2 smartphones start at Rs 11,999. At the same time, the price of Realme 2 Pro smartphones starts at Rs 13,990. However, the price of the Realme A1 smartphone is not yet revealed.